Barb is passionate about travel and has worked in the travel industry for over 21 years. She is excited about what she and her staff have to offer you. Barb and her Staff are commited to maintaining a high standard of service. 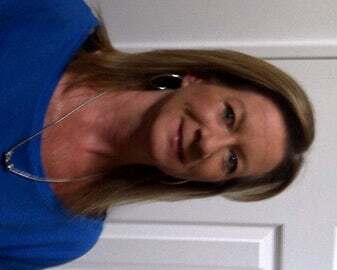 As a Sandals Specialist Barb can provide you with in depth knowledge of all Sandals properties. Why not let her extensive travel experience help you to plan your "perfect vacation" or "desination wedding"? Sandals Royal Bahamian - SAVE UP TO 65% WHY CHOOSE SANDALS ROYAL BAHAMIAN?If youre looking for a regal retreat that gives you two vacations in one: a sophisticated European resort that is steeped in history, and the adventure of an exotic offshore island that includes every amenity imaginable, Sandals Royal Bahamian is for you. Paris Hotel - Las Vegas Nightfall is when the City of Light shines, and Paris Las Vegas brings the same experience to the Strip. Whether youre entertaining guests, catching up with friends or looking for a romantic setting, Paris Las Vegas has a nightspot thats right for you. The Fountains of Bellagio A refreshing addition to your entertainment options, the Fountains of Bellagio were destined to romance your senses. Take in a complimentary Las Vegas show of water, music and light thoughtfully interwoven to mesmerize its admirers.